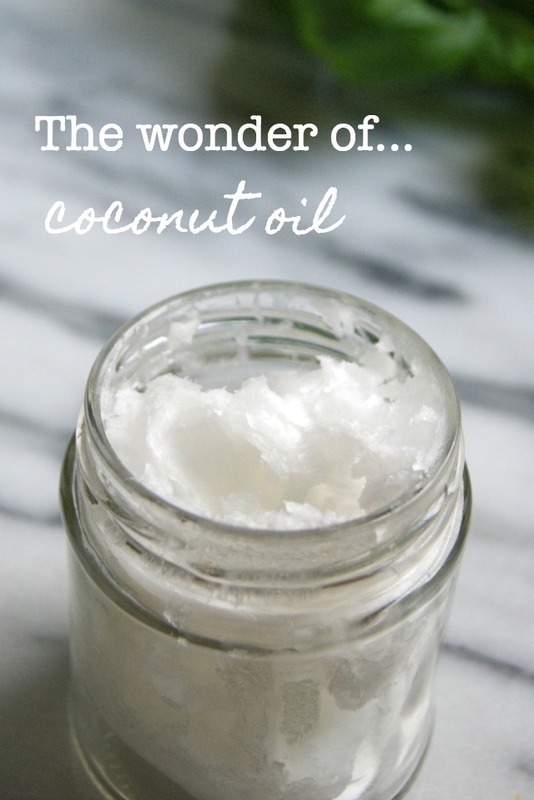 I’ve been raving about the benefits of coconut oil since I discovered it a year ago. I know that coconut oil is the cool kid of the health and beauty world at the moment, but I’m not going to let the hype get between me and a good thing / ALL THE COCONUTS. I use it to cook with, in recipes, for hair masks and for nail care, but here I wanted to focus on it’s benefits in skin care. I don’t know how I’ve missed this for so long, but using coconut oil as make up remover is my newest discovery. This is so freaking effective, everything just melts away. Take a tiny little dab (wayyyyyy less than I originally thought I needed) and massage it into your face and eyes. Breath in all that coconutty goodness whilst you gently rub it into your skin and then wipe it away with a hot cloth. Marvel at how much better than actual make up remover this is. I cleanse as normal after removing my make up with the oil (although sometimes don’t and my skin has been absolutely fine). I have oily skin, so I would never use coconut oil as my day moisturiser, but I will occasionally use it as my night time moisturiser if I feel like my skin needs a boost. Again, this has never caused me to break out but does an excellent job as an intensive moisturiser overnight. Of all the uses, I think this one may be most dependent on your skin’s tolerance for coconut oil as it is comedogenic and may clog your pores. Perhaps if I used this every night, that might happen to me, but every once is doing no harm. I wrote about my love of making my own body scrubs last year and coconut oil features in the very lovely tropical sugar scrub. It actually makes a fantastic base for all kinds of sugar and salt scrubs and continues to be one of my favourites. I’m lazy, I like only having to make sure I always have coconut oil in the house and then whatever I want to do/make, I’ll find a way. At first, I didn’t like coconut oil as a body moisturiser. In fact, I sort of hated it. It made me feel like an oiled up duck, ready for the oven. I’d apply it at night, slither into my PJs and then try to lie very still in bed so I couldn’t feel how slippery it was. Urgghhh the thought of how it feels on the crease of my arms (what are they called?) and the backs of my knees makes me shudder. Admittedly, I’d awaken with very soft (slightly tacky) skin, but I wasn’t enamoured with the whole process. Then I twigged that a teeny, tiny amount goes a really long way and is way more effective. Now, whilst my skin is still wet from the shower, I’ll apply a small amount and that really does the trick. Yep, if you’re lucky enough to have someone around who will give you a massage, then coconut oil makes an excellent natural massage oil. Funnily enough, this is one area where that ‘oiled up duck’ effect has its benefits whilst you get your knots pummelled into submission. It smells great and will leave your skin beautifully moisturised if it’s been really worked in. Or you could wipe off any excess oil with a hot cloth if you prefer. It doesn’t last too long, so it’s not a favourite during the day, but applying a touch of coconut oil to lips before bed helps them to stay moisturised throughout the night. Plus, it’s edible and natural so if you know exactly what you’re getting if you lick your lips. I have mixed feelings about this one, for the same reason that being slathered in any lotion/oil makes me cringe, but it is effective. Massaging a good amount of coconut oil into your hands and feet, then going to bed with gloves and socks on will mean that you wake up with soft skin and well conditioned nails and cuticles. Just as long as you can stand sleeping in gloves and socks. Sometimes I can. Sometimes I really can’t. There are dozens of other benefits of coconut oil for the skin, hair, diet…it’s a champion multi tasker. I always love reading your comments, do you have any tips for using coconut or other oils?